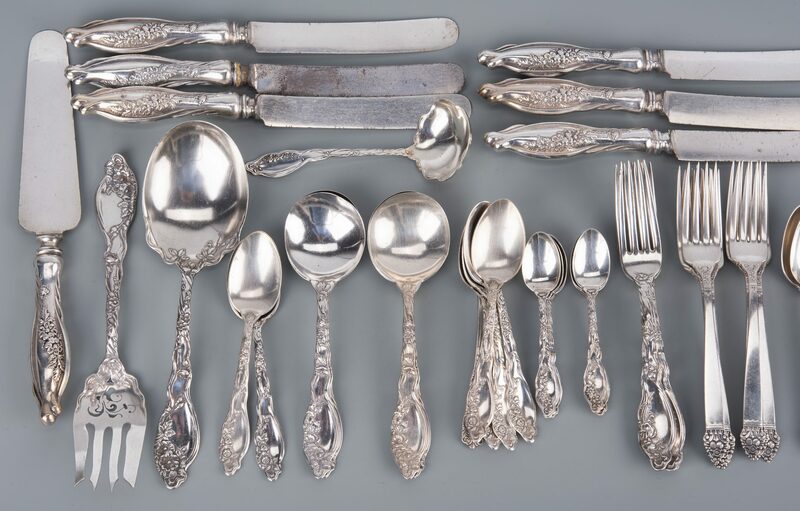 1st group: Simpson, Hall, Miller & Co. sterling flatware, Mille Fleur pattern, 1904, 32 pieces, including 6 dinner knives (10" L), 3 forks (7 3/8" L), 6 teaspoons, 5 round bowl soup spoons, 8 demitasse spoons (4 1/2" L), 1 ladle (5 3/4" L), 1 salad serving fork, 1 salad serving spoon and 1 cake/pastry server (10 1/4" L). 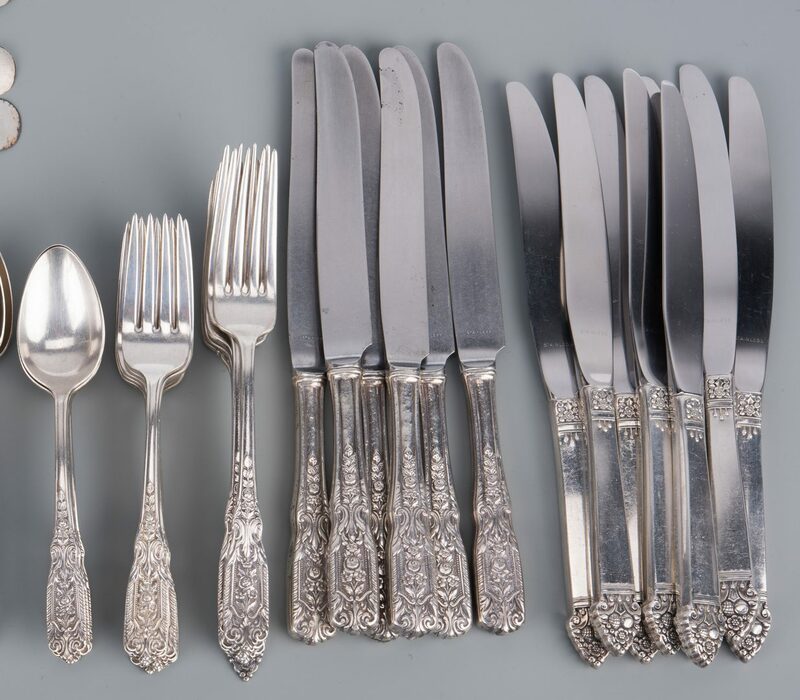 2nd group: Oneida Silversmiths sterling flatware, King Cedric pattern, 1949, 24 pieces including 8 dinner knives (8 3/4" L), 8 forks (7 1/4" L) and 8 teaspoons. 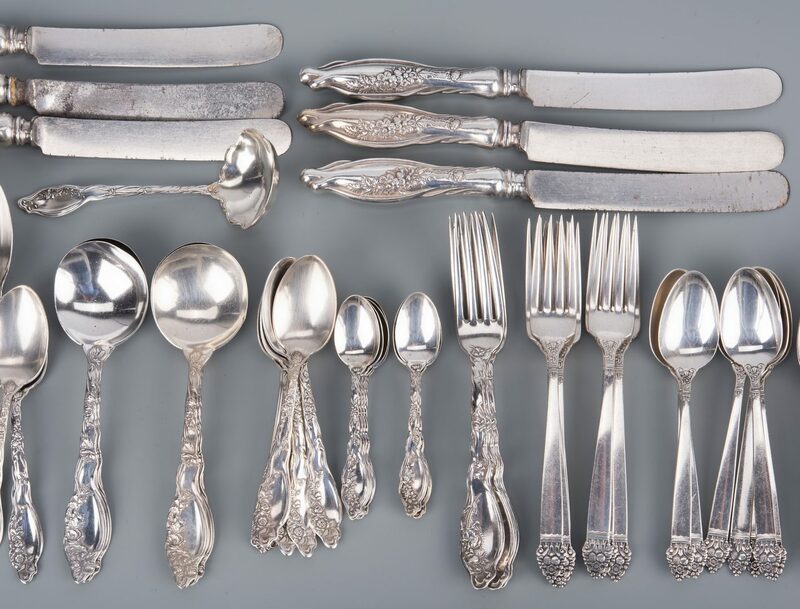 3rd group: Westmorland Sterling Co., Milburn Rose pattern, 1940, 24 pieces including 6 dinner knives (9" L), 5 forks (7 1/8" L), 7 salad forks and 6 teaspoons. 69.63 total weighable troy ounces for all three patterns. 80 items total. Provenance: Private Knoxville, TN collection. 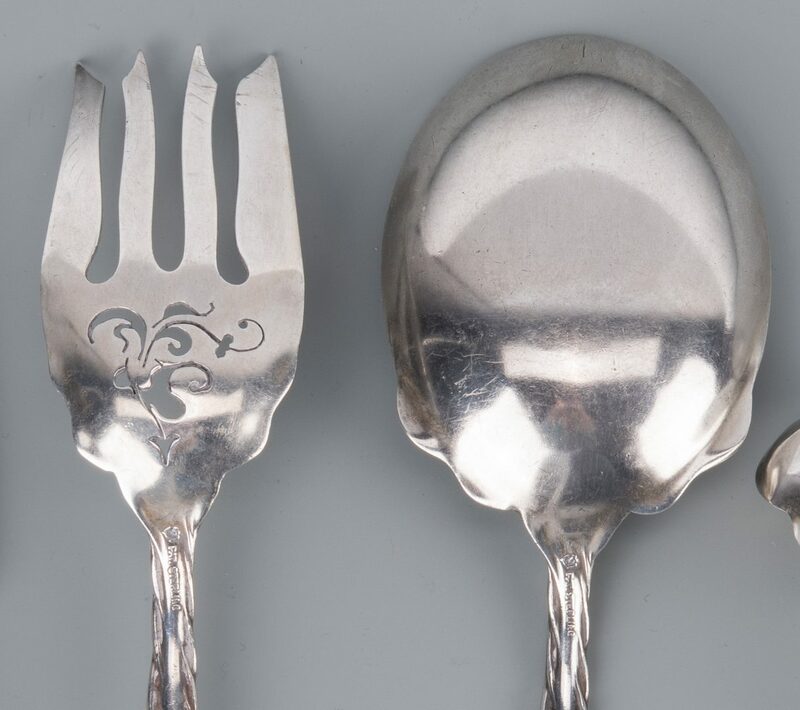 CONDITION: 1st group: Wear to stainless blades. 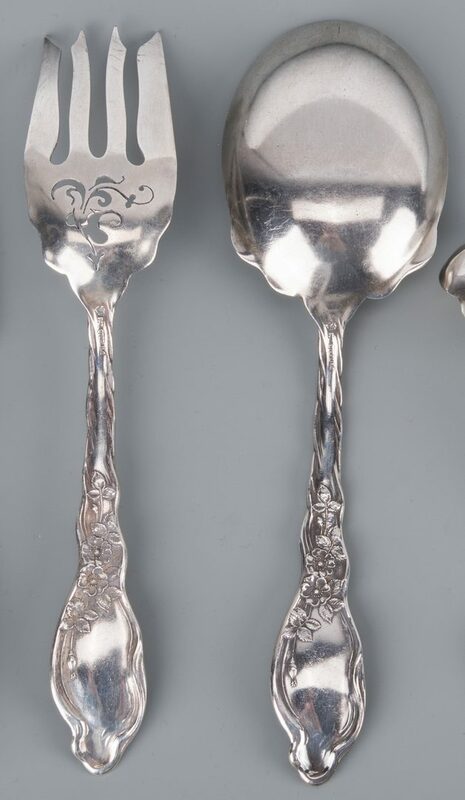 Surface scratches due to age and some slight bends to few pieces. Not monogrammed. 2nd group: Good condition with some surface scratches. Not monogrammed. 3rd group: Minor wear to some stainless blades. Not monogrammed.